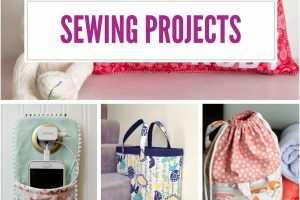 Just as other professionals carry a toolbox or specialty kit, a seamstress or hobby sewer needs a sewing box full of essential items. A good sewing box contains important tools that allow a seamstress to create any project he or she desires. 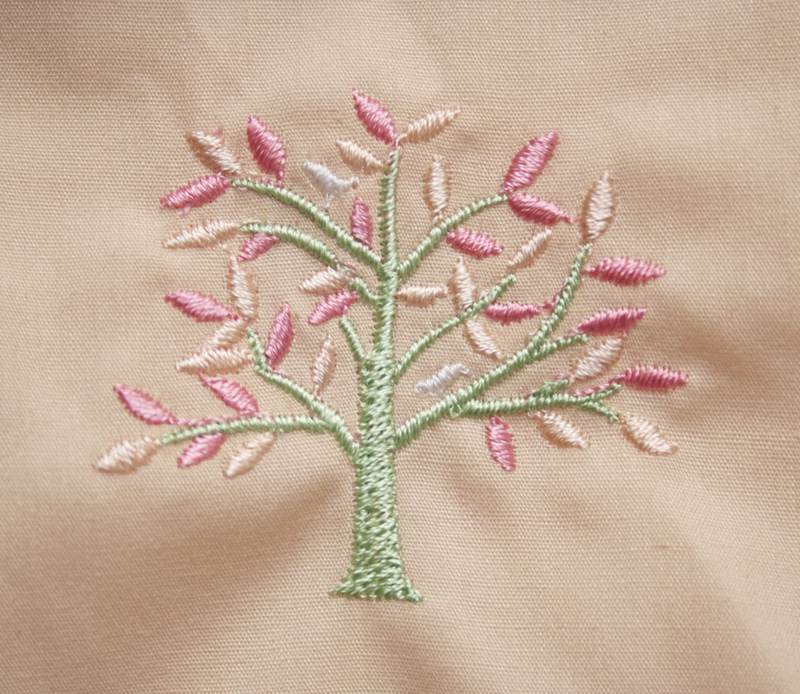 Without the right sewing tools, it can be challenging to confidently create a masterpiece. 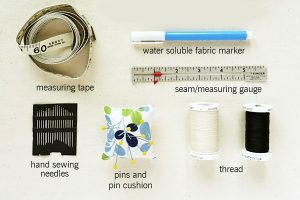 Therefore, the next time you sit down at your sewing machine, check your sewing box to ensure you have these 6 must-have items. This is a basic sewing kit essential that is needed to gather appropriate measurements. 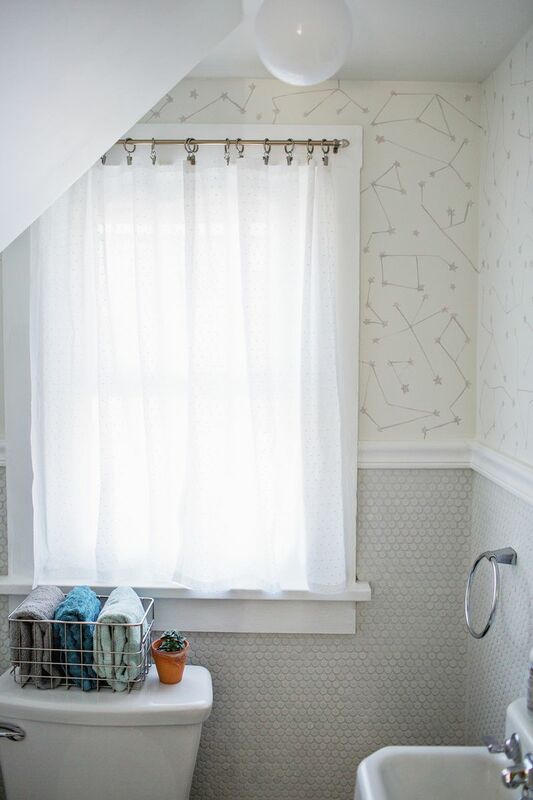 Without a measuring tape, a seamstress would be unable to sew a garment or make a blanket that fits properly – it would be a major guessing game and waste material. The best kind of measuring tape to purchase is a flexible one, and these can be purchased for an inexpensive price. 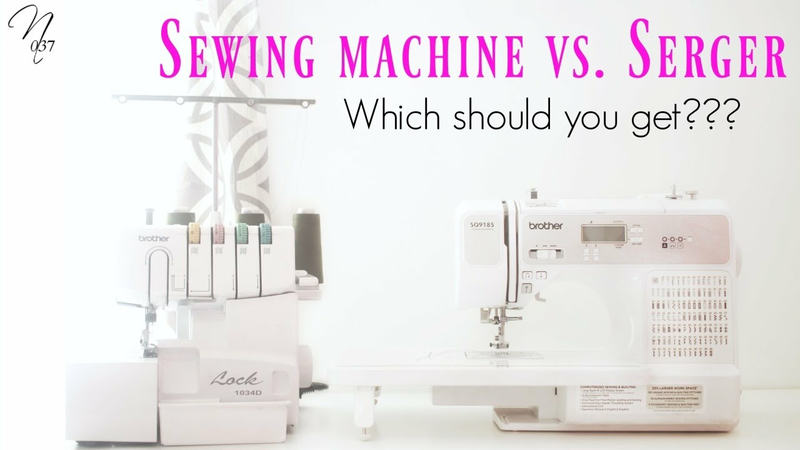 Pins are necessary to hold fabric together, but not all are created equal. Try investing in some glass head pins that are ideal for smoothly poking through multiple layers of fabric and securely holding textiles together. Additionally, glass head pins will not melt under heat or rust as plastic pins can. A pin cushion is another essential item for your sewing box, and you can purchase them in a variety of designs. It is dangerous to leave pins lying around for someone to step on or young children or pets to ingest, so poking them in a pincushion is a smart idea. Pincushions not only safely store pins, but they keep them organized as well. In addition to a regular pair of fabric scissors, pinking shears are perfect for creating patterns on the edge of the fabric and to prevent fraying. Pinking shears allow sewers to create pretty and fun patterns around the edge of whatever they are sewing, and are simple to use. Once the fabric is cut using the shears, it can last for a very long time. However, do keep in mind that loosely woven fabric has a high risk of fraying compared to thicker fabric. Pinking shears are also ideal for cutting bandanas or scarfs without leaving them to fray. Storing a variety of thread in your sewing box is a smart thing to do. Stock up on essential colors such as white, cream white, black, and brown, so you always have them on hand. 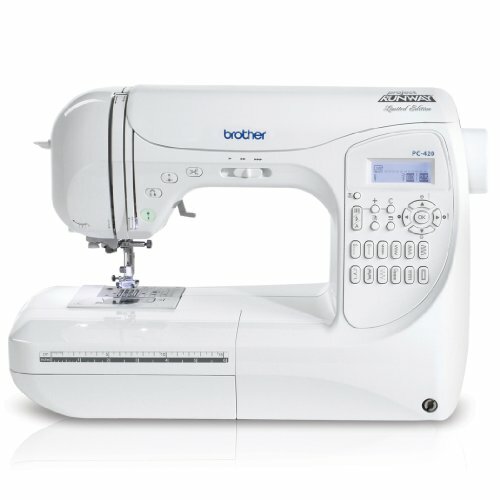 Additionally, invest in a high-quality thread that works well in a sewing machine and does not easily snap or break. While you may pay more to stock up on durable, high-quality thread, your machine will thank you. 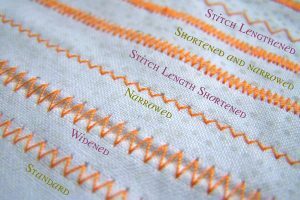 According to some experts, mercerized cotton thread is ideal, because it is a thicker thread that works well with cotton fabrics, linen, and rayon. These will become your best friend, especially for beginning sewers. Disappearing ink, marking pens allow you to mark measurements on the fabric while sewing. As the ink makes contact with the fabric it slowly disappears and does not leave any markings. If you do find any leftover markings, a damp cloth removes any excess. These markers are also air and water-soluble so you can use them on delicate or durable fabrics. Perfect for when you make an error, seam rippers allow you to take out seams that you need to redo. 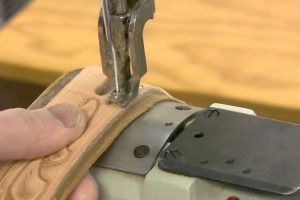 There are a variety of seam rippers on the market, and so it is advised to purchase one that has a sharp edge with a ballpoint end to stop scratches or tears on the fabric. Another thing to consider before buying a seam ripper is the size of the handle. There are some seam rippers that have a small handle, and others with quite a long one; choose a handle that fits comfortably in your hand. 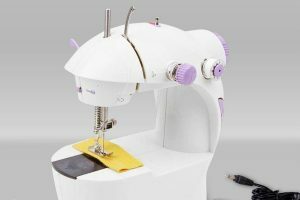 Whether you are a just a beginner, or a sewing connoisseur, having a sewing box full of the essentials means you can confidently sew with the right tools in hand. It is a good idea to take an inventory of your sewing kit often so that you can keep your stock full. These are just six of the staples you should store in your sewing box at all times.